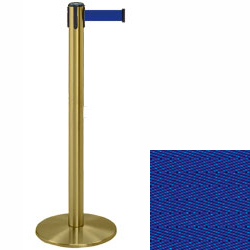 Stanchions - This satin brass public guidance post features a 7 1/2 foot blue belt. These stantions are a very classy way to guide your customers and clients. 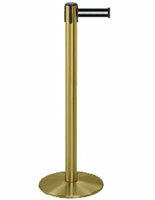 These are great for banks, hotels, hospitals, airports, restaurants and bars. 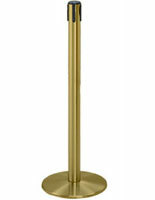 The actual post measures 48" tall, with a 13 1/2" diameter base, and weighs 24 lbs. 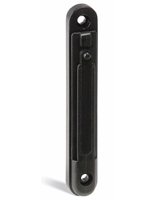 the belt is 2" wide. For your higher traffic areas, we recommend using Dual Belt Posts. These are great for discouraging people from ducking under and from having kids run underneath.